There’s really nothing “meta” about metadata. Thanks to The Guardian’s Glenn Greenwald and 29-year-old whistleblower Edward Snowden, we know that the government has been collecting our telecommunications metadata in enormous data dragnets. We also know that the government has developed backdoor access to e-mail and other intenet communications through arrangements with Google, Microsoft, Facebook and other Silicon Valley corporations. Snowden revealed his identity yesterday afternoon; it had been the subject of fervid speculation since Greenwald began breaking stories about the data trawling last week. (Steve Clemons, the impeccably Establishment foreign policy journalist and think-tanker, overheard four national security professionals loudly and repeatedly proposing that both Snowden and “the journalist” be “taken out”.) Snowden is not a government man, not exactly anyway: he worked at Booz Allen Hamilton, an enormous and enormously profitable corporation that has gobbled up $1.3 billion in intelligence-related government contracts in the past fiscal year, from digital intelligence gathering to questing after the much-sought-after but spurious link between Al Qaeda and South American narcotraffickers. A common theme in the reactions to Snowden’s whistleblowing is outrage and resentment that a 29-year-old with a GED instead of a high-school diploma is making $200,000 a year off government contracts. In today’s grim economy, one of the few bright spots is the boom field of counterterrorism and intelligence consulting, highly paid jobs that don’t seem to require much in the way of skills, experience or expertise. The news about government snooping has raised old questions about mass digital surveillance by the state. Not surprisingly, Senator Dianne Feinstein sees nothing wrong with the programs, and assures us that they have already been instrumental in foiling terrorist plots—it’s just that she’s not at liberty to tell us how exactly, because that information is secret. Marcy Wheeler however at her Empty Wheel blog has subjected these official claims to searching scrutiny and finds there is no evidence that the newly revealed surveillance techniques had anything to do with the apprehension of Najibullah Zazi’s plot to bomb the New York subway. It’s not clear if many of the elected officials involved understand the technology or what it means. Are the surveillance programs legal? Attorneys Ben Wizner and Jameel Jaffer of the ACLU have both addressed this with their usual good sense—and so has The New Republic’s John Judis, looking back at the way he was surveilled and harassed (his friends and family too) because of his antiwar and left-wing political views in the late ’60s and early ’70s. Note to lawyers and wanna-be lawyers: that the program may be in conformity with the law is of course no guarantee that it is not a nightmare; the history of the United States is full of abominations that were permitted, required and violently enforced by legal statute. Where is Obama? The great compromiser has told the country we cannot expect either “total security or total privacy.” But is the humble expectation that the government is not spying on our phone calls or e-mail an insolent, utopian demand for “total privacy”? Not in the least, but many Democratic voters, who seem to care deeply about civil liberties when a Republican administration is in charge, seem adequately soothed. The enemy is not just the Lindsey Grahams and the Dianne Feinsteins, it’s the apathy and internalization of Stasi values that has been growing like a mold over the nation. Sometimes this psychological internalization is meek and mild, but surprisingly often it comes with a weird macho swagger, as in David "The Wire" Simon's online rant that it's really no biggie for the feds are treating all Americans the way Baltimore police treat suspected crack dealers. Read the twitter feed @_nothingToHide which retweets statements offering shrugging approval to the NSA spying from bestselling intellectuals like Sam Harris as well as ordinary citizens–and weep for our future. 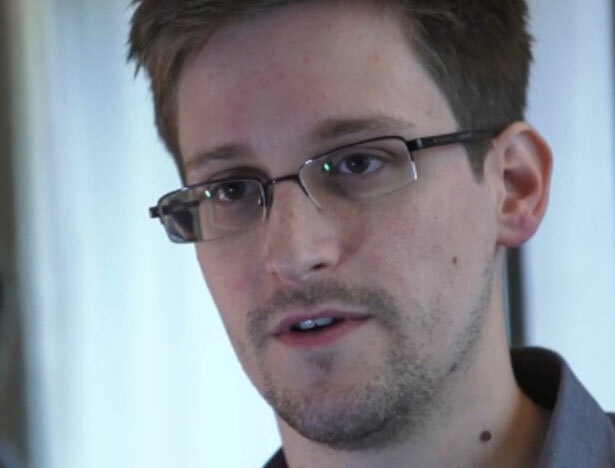 The morning after whisteblower Edward Snowden revealed his identify, Greg Mitchell writes about the NSA leaks and the contrasting narratives of how the Snowden went public.